Our Promethean ActivPanel has a revolutionary Android processor. Discover the power of teacher and student connectivity with this upgradable technology. It provides an intelligent hub which replaces the old projection display technology. We are all about quality: a quality product, a smooth and trouble free installation and a very high level of training and support. If you are interested in purchasing AV and ICT equipment, make sure you do some research on your supplier: this includes finding out about their track record within the industry and the amount of after sales service you can expect. We are happy to answer any or all your questions with complete honesty and transparency. The very latest in lesson delivery software, ClassFlow Desktop, is 100% free. 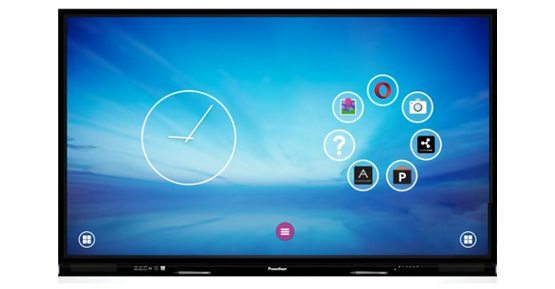 Create and deliver dynamic lessons, online and offline with your Promethean ActivPanel. Share content by mirroring mobile devices with ease. Connect Bluetooth devices to aid your teaching e.g. musical keyboards, digital lab censors and robots. The world of teaching apps is huge and ever expanding. The ActivPanel gives easy access to this world, allowing you to download, access and explore from the home screen. As the maintenance process is made easier by the revolutionary externally accessible Android, costs relating to display diagnostics and repairs are reduced to a minimum. We have a surprising range of mounting options, from the (free) fixed wall mount, through the height adjustable wall mount, height adjustable mobile stand to the non-adjustable mobile stand. 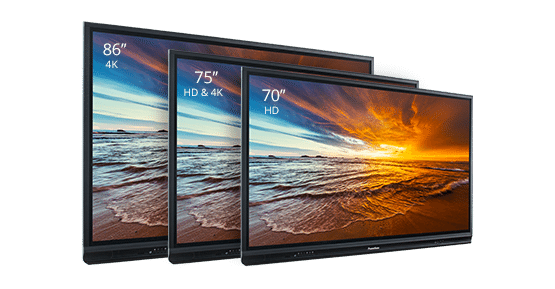 The ActivPanel 70” HD and 75” HD models allow up to ten simultaneous touch points and one pen. The ActivPanel 75” 4K and 86” 4K allow up to twenty simultaneous touch points and four pens. This capability is only available within multi-user applications such as Windows 7, Windows 8 and Promethean software. Windows, Mac OS, Linux, Chrome OS. Try out our award winning ClassFlow Desktop software. It makes creating and delivering interactive lessons easy and fun. 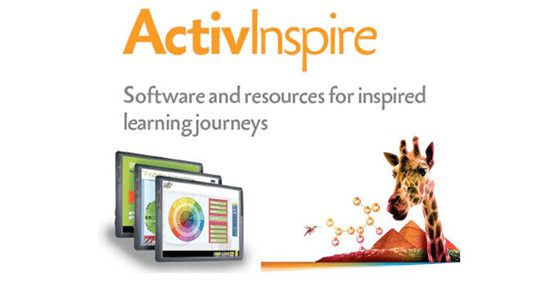 Or why not explore our ActivInspire Professional software? Both are included with the purchase at no extra cost, so you can start preparing lessons as soon as everything is installed. The ActivPanel allows convenient, peripheral connectivity through a variety ports including USB touch, HDMI ports, OPS, VGA and Audio. The 70” HD and 75” HD models each have two 10W stereo speakers. The 74” 4K and 86” 4K models each have two 20W stereo speakers. These are powerful, built in speakers for maximum aural pleasure. Each PROMETHEAN ActivePanel comes with ACTIVEINSPIRE and CLASSFLOW software packages at no extra cost. Galvanize your lessons by bringing the joy of interaction and collaboration into the classroom. Choose from a variety of tools and activities to make learning more fun and engaging. Enjoy the benefits of a dual interface which allows you to switch between ‘primary’ for young learners and ‘studio’ for older students. Access integrated tools such as Revealer, Spotlight Focus tools, Magic Ink, Clock and Math tools. Make learning fun and engaging by delivering pen or touch based lessons on any brand of interactive flat screen. Distribute quizzes, polls and other such activities amongst learners with devices such as tablets and laptops. Using ClassFlow student accounts helps to grow self-management skills and encourage collaboration. Send digital badges as awards of merit for outstanding pupils. 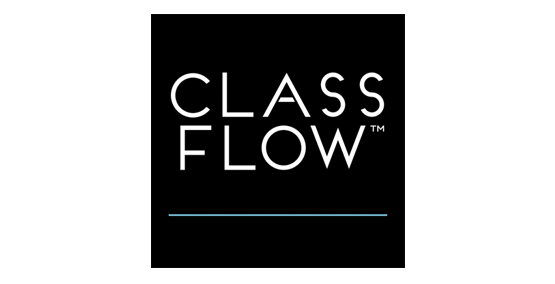 Avail of the ClassFlow market place where you will find millions of interactive lessons, resources and activities from educators across the globe. The free ClassFlow Moments parents’ app allows for parental engagement as a learning strategy. We at Interactiveflatscreens.ie are proud to install Promethean products in a growing number of forward looking schools around Ireland.